Ruthless copying is common in tech. Just ask Snapchat. However, it’s typically more conceptual than literal. But car API startup Smartcar claims that its competitor Otonomo copy-and-pasted Smartcar’s API documentation, allegedly plagiarizing it extensively to the point of including the original’s typos and randomly generated strings of code. It’s published a series of side-by-side screenshots detailing the supposed theft of its intellectual property. Otonomo prides itself on providing a completely unique offering backed by our own intellectual property and patents. We take Smartcar’s questions seriously and are conducting an investigation, but we remain confident that our rigorous standards of integrity remain uncompromised. If our investigation reveals any issues, we will immediately take the necessary steps to address them. Both startups are trying to build an API layer that connects data from cars with app developers so they can build products that can locate, unlock, or harness data from vehicles. The 20-person Mountain View-based Smartcar has raised $ 12 million from Andreessen Horowitz and NEA. A major deciding factor in who’ll win this market is which platform offers the best documentation that makes it easiest for developers to integrate the APIs. The screenshot above comparing API documentation from Smartcar on the left and Otonomo on the right appears to show Otonomo used nearly identical formatting and the exact same randomly generated sample identifier (highlighted) as Smartcar. Further examples flag seemingly identical code strings and snippets. Otonomo has pulled down their docs.otonomo.io documentation website, but TechCrunch has reviewed an Archive.org Wayback Machine showing this Otonomo site as of April 5, 2019 featured sections that are identical to the documentation Smartcar published in August 2018. That includes Smartcar’s typo “it will returned here”, and its randomly generated sample code placeholder “”4a1b01e5-0497-417c-a30e-6df6ba33ba46” which both appear in the Wayback Machine copy of Otonomo’s docs. The typo was fixed in this version of Otonomo’s docs that’s still publicly available, but that code string remains. 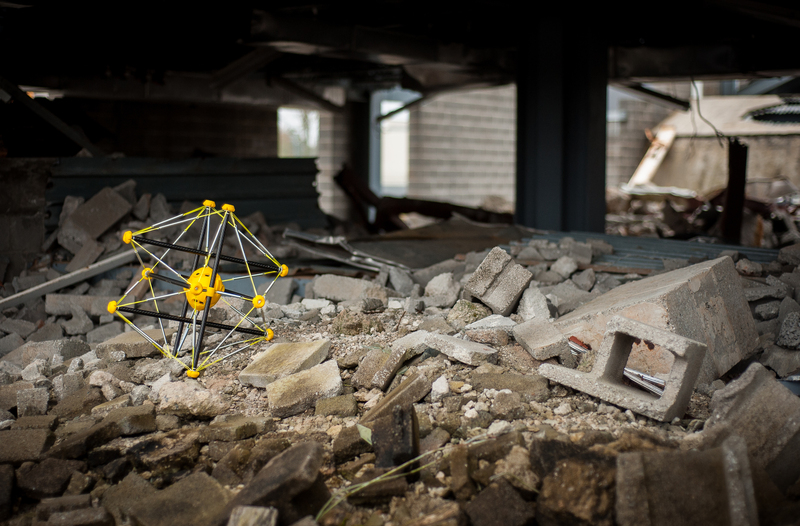 “It would be a one in a quintillion chance of them happening to land on the same randomly generated string” Smartcar’s Katta tells TechCrunch. Otonomo’s Lisa Joy noted that her startup is currently fundraising for its Series C, which reportedly already includes $ 10 million from South Korean energy and telecom holdings giant SK. “We’re in the middle of raising a round right now. That round is not done” she told me. But if Otonomo gets a reputation for allegedly copying its API docs, that could hurt its standing with developers and potentially endanger that funding round. To be successful in a fast paced, ever changing, and competitive market, it is imperative for brands to think beyond just CPC, CPA and ROAS in the short term. Instead they should be equally aware of their brands position in the attention amongst their prospective customers, AND increasing the customer lifetime value of their existing customers. The company is still extremely small and has very little funding: mainly a $ 500,000 grant from NASA and $ 225,000 from the National Science Foundation’s SBIR fund. But they’re also working from UC Berkeley’s Skydeck accelerator, which has already put them in touch with a variety of resources and entrepreneurs, and the upcoming May 14 demo day will put their unique robotics in front of hundreds of VCs eager to back the latest academic spin-offs. Microsoft is getting an established company with a proven product that can help it scale its Azure IoT business. The acquisition is part of a $ 5 billion investment in IoT the company announced last April that includes a number of Azure pieces, such as Azure Sphere, Azure Digital Twins, Azure IoT Edge, Azure Maps and Azure IoT Central. “We want your followers to focus on what you share, not how many likes your posts get. During this test, only the person who shares a post will see the total number of likes it gets.” That’s how Instagram describes a seemingly small design change test with massive potential impact on users’ well-being. Hiding Like counts could reduce herd mentality, where people just Like what’s already got tons of Likes. It could reduce the sense of competition on Instagram, since users won’t compare their own counts with those of more popular friends or superstar creators. And it could encourage creators to post what feels most authentic rather than trying to rack up Likes for everyone to see. 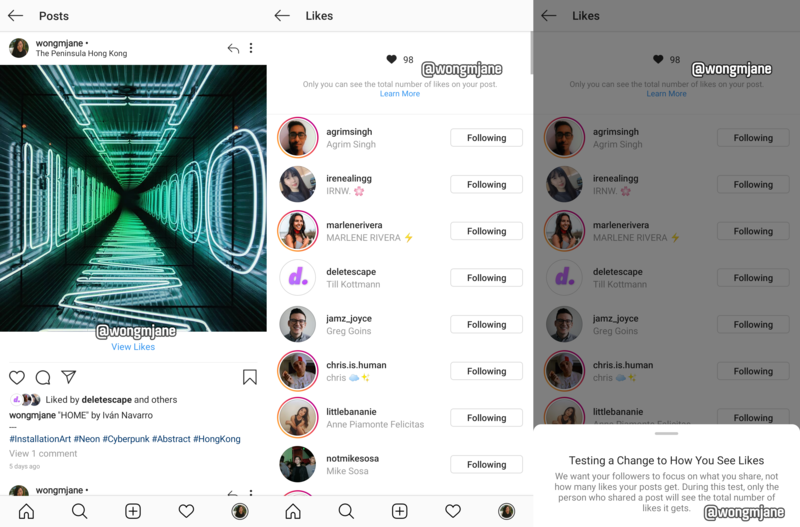 The design change test was spotted by Jane Manchun Wong, the prolific reverse-engineering expert and frequent TechCrunch tipster who has spotted tons of Instagram features before they’re officially confirmed or launched. Wong discovered the design change test in Instagram’s Android code and was able to generate the screenshots above. You can see on the left that the Instagram feed post lacks a Like count, but still shows a few faces and a name of other people who’ve Liked it. Users are alerted that only they will see their post’s Like counts, and anyone else won’t. Many users delete posts that don’t immediately get “enough” Likes or post to their fake “Finstagram” accounts if they don’t think they’ll be proud of the hearts they collect. Hiding Like counts might get users posting more because they’ll be less self-conscious. Instagram confirmed to TechCrunch that this design is an internal prototype that’s not visible to the public yet. A spokesperson told us: “We’re not testing this at the moment, but exploring ways to reduce pressure on Instagram is something we’re always thinking about.” Other features we’ve reported on in the same phase, such as video calling, soundtracks for Stories and the app’s time well spent dashboard, all went on to receive official launches. Meanwhile, Wong has also recently spotted several other Instagram prototypes lurking in its Android code. 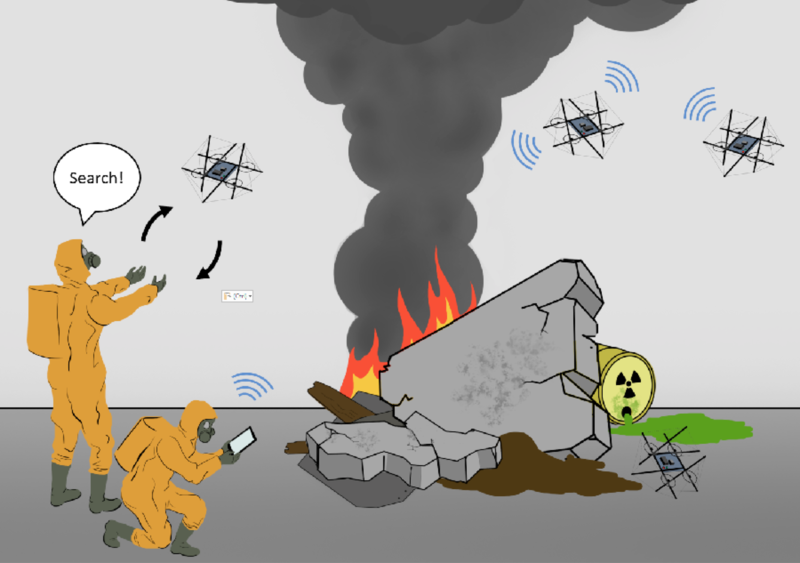 Those include chat thread stickers for Direct messages, augmented reality filters for Direct Video calls, simultaneous co-watching of recommended videos through Direct, karaoke-style lyrics that appear synced to soundtracks in Stories, emoji reactions to feed posts and a shopping bag for commerce. It appears there’s no plan to hide follower counts on user profiles, which are the true measure of popularity, but also serve a purpose of distinguishing great content creators and assessing their worth to marketers. Hiding Likes could just put more of a spotlight on follower and comment counts. And even if users don’t see Like counts, they still massively impact the feed’s ranking algorithm, so creators will still have to battle for them to be seen. The change matches a growing belief that Like counts can be counter-productive or even harmful to users’ psyches. Instagram co-founder Kevin Systrom told me back in 2016 that getting away from the pressure of Like counts was one impetus for Instagram launching Stories. Last month, Twitter began testing a design that hides retweet counts behind an extra tap to similarly discourage inauthentic competition and herd mentality. And Snapchat has never shown Like counts or even follower counts, which has made it feel less stressful but also less useful for influencers. Narcissism, envy spiraling and low self-image can all stem from staring at Like counts. They’re a constant reminder of the status hierarchies that have emerged from social networks. For many users, at some point it stopped being fun and started to feel more like working in the heart mines. If Instagram rolls out the feature, it could put the emphasis back on sharing art and self-expression, not trying to win some popularity contest. Hero Conf Philly is Tuesday, April 23 – Thursday, April 25 and includes two full, action-packed days of sessions and a 3rd day of workshops. You’ll see a variety of speakers; top-rated veterans that have roamed the world offering up valuable tip and tricks, as well as the newest up-and-comers in the digital marketing landscape.